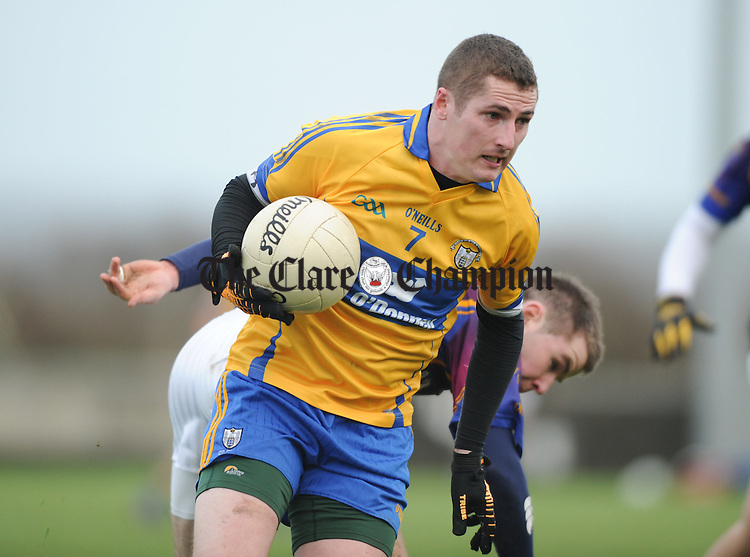 Eoin Troy of Clare in action against Colin Dempsey of U.L. during their Mc Grath Cup match at Doonbeg. Photograph by John Kelly.